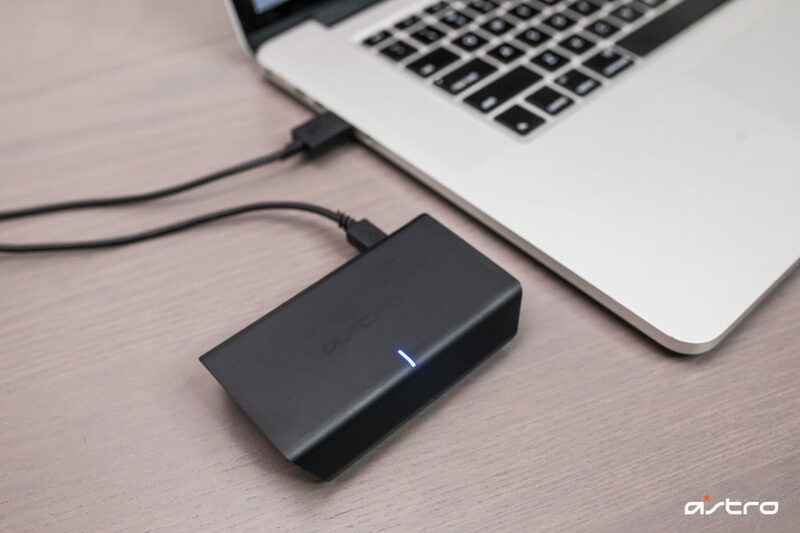 This guide will provide you will all of the information you will need to setup your ASTRO A20 Wireless with your PC or Mac. 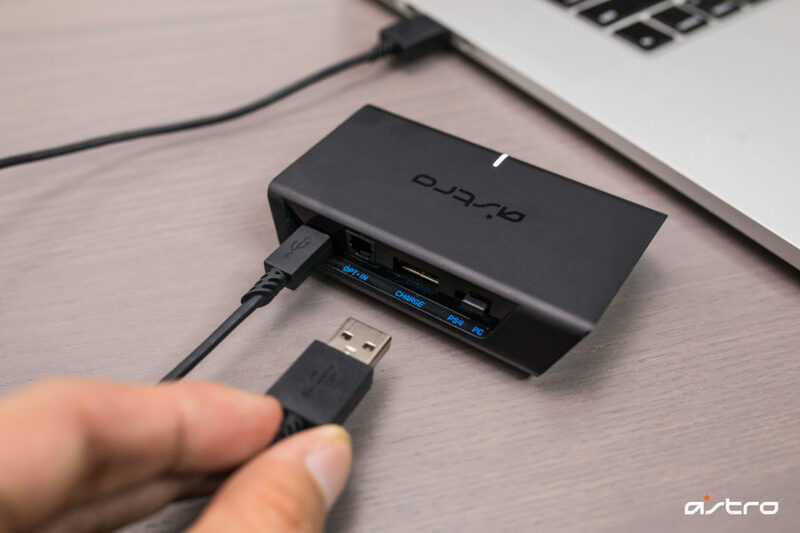 Step 1: Connect the transmitter to a PC or MAC using the 1.0m Micro USB Cable included in the box. 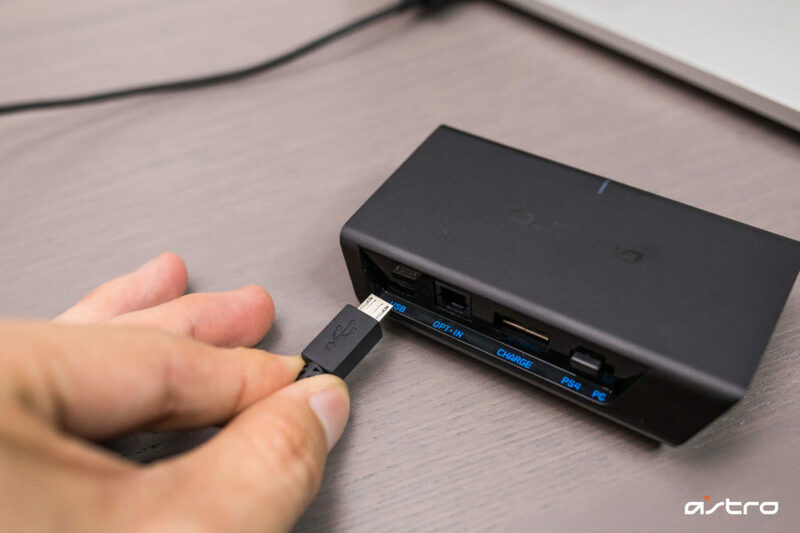 Step 2: Connect the A20 Wireless Headset to the transmitter using the 0.5m Micro USB Cable. Be sure the amber LED charging light on the A20 Wireless Headset is on. Step 4: Download and install the ASTRO Command Center. Step 5: Launch the ACC software. 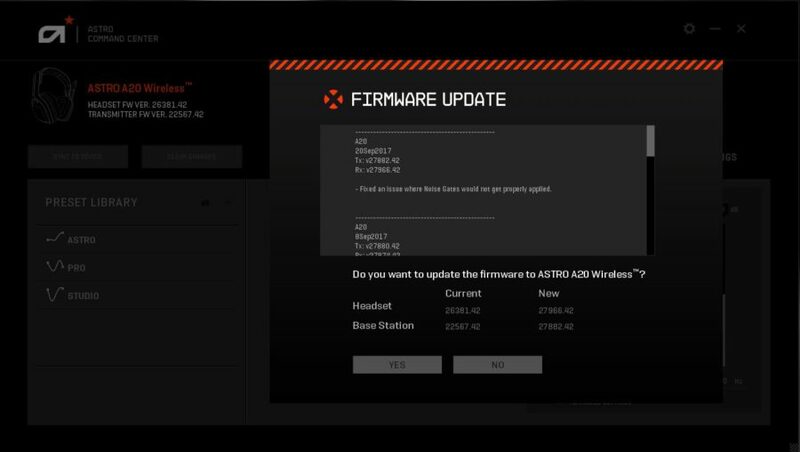 If a software update is available you will be prompted to update your A20 Wireless Headset. 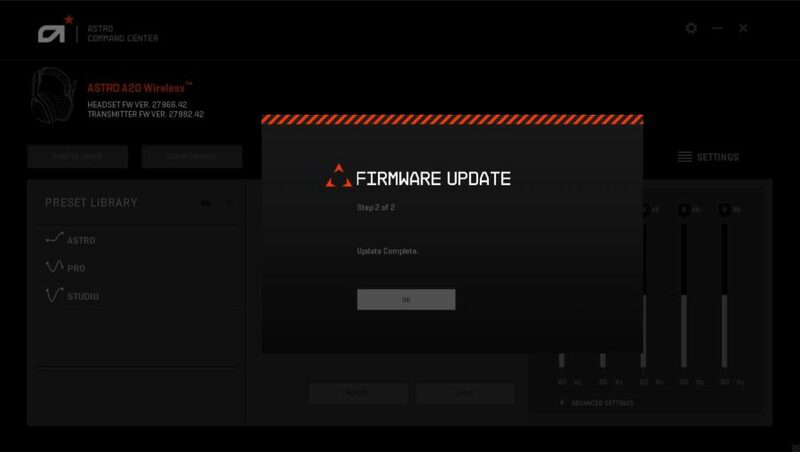 Click on “Update” if the prompt is visible and follow the onscreen instructions to update your firmware. 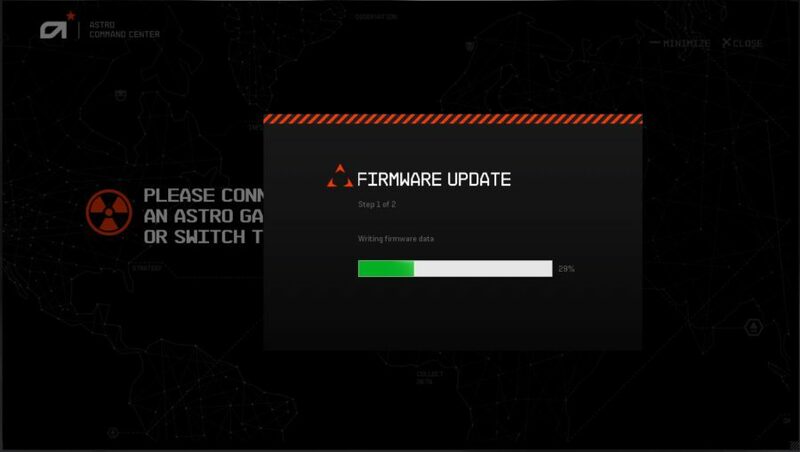 If no prompt is shown then you are running the latest firmware. 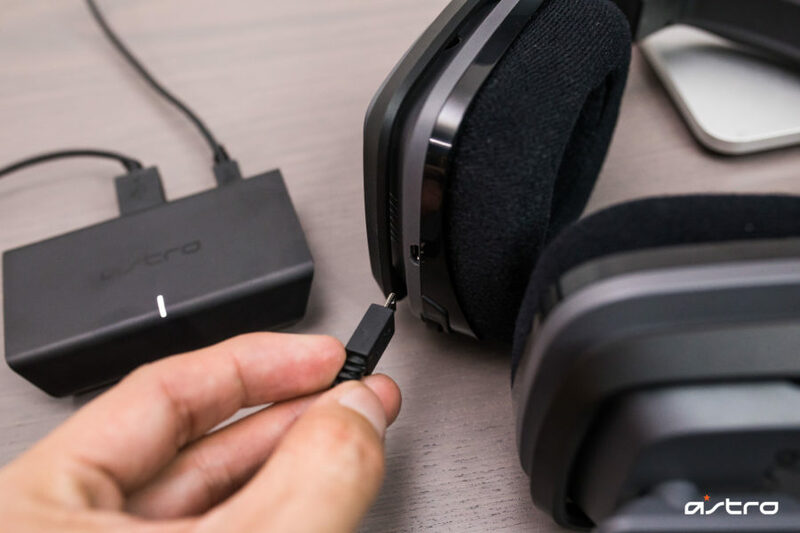 Step 6: Once your ASTRO A20 Wireless Headset has finished updating, you’re ready to move on to setting up your headset on your PC and Mac. 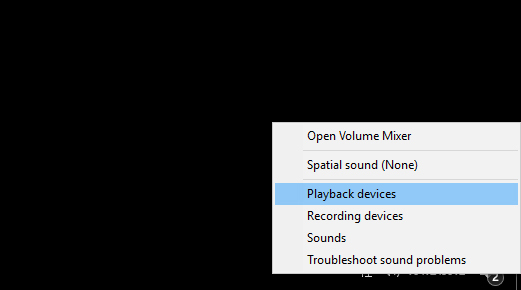 Step 1: Right click the Speaker icon in your Taskbar and select Playback Devices. Step 2: Select ASTRO A20 Game, right click and set as Default Device. 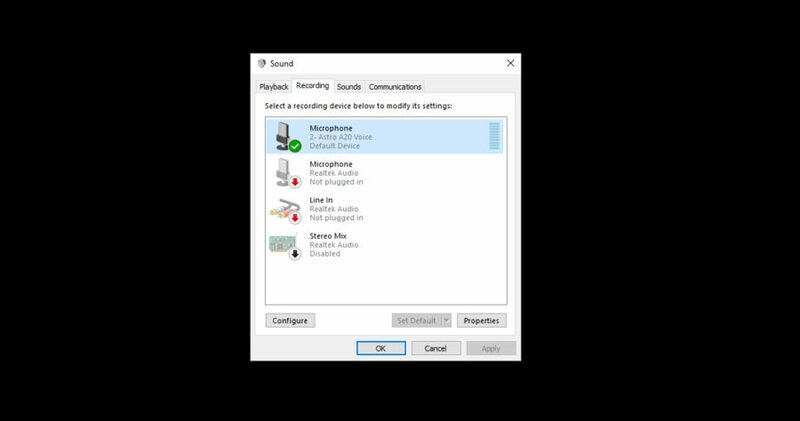 Step 3: Select ASTRO A20 Voice, right click and set as Default Communication Device. 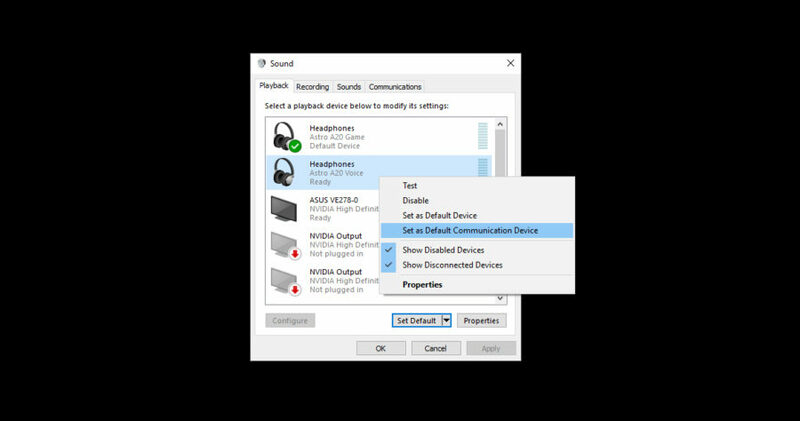 Step 4: Navigate to your “Recording Devices” tab in your Sound settings on your PC. 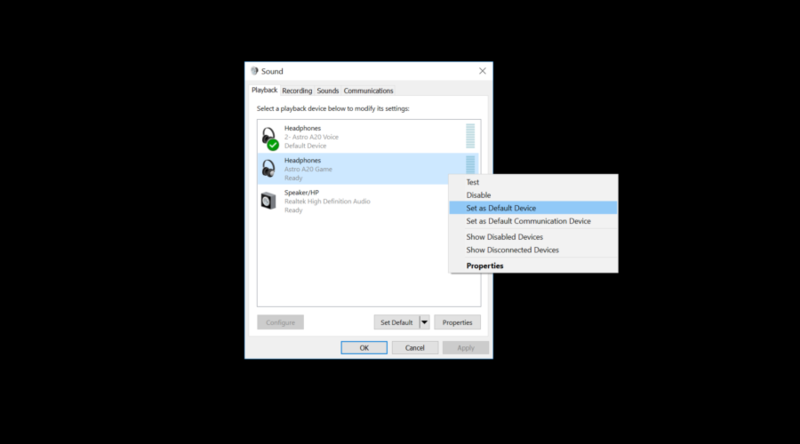 Step 5: Ensure that ASTRO A20 Voice is set as Default Device and Default Communication Device. 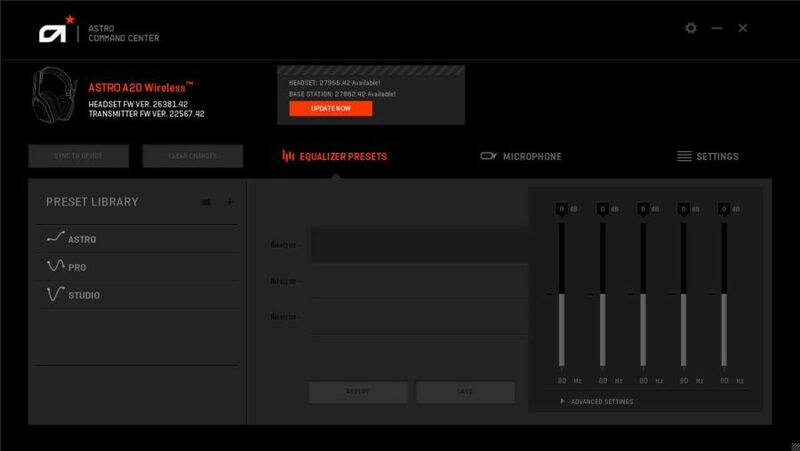 Step 6: The A20 Wireless Headset is able to deliver spatial audio via Dolby Atmos and Windows Sonic. 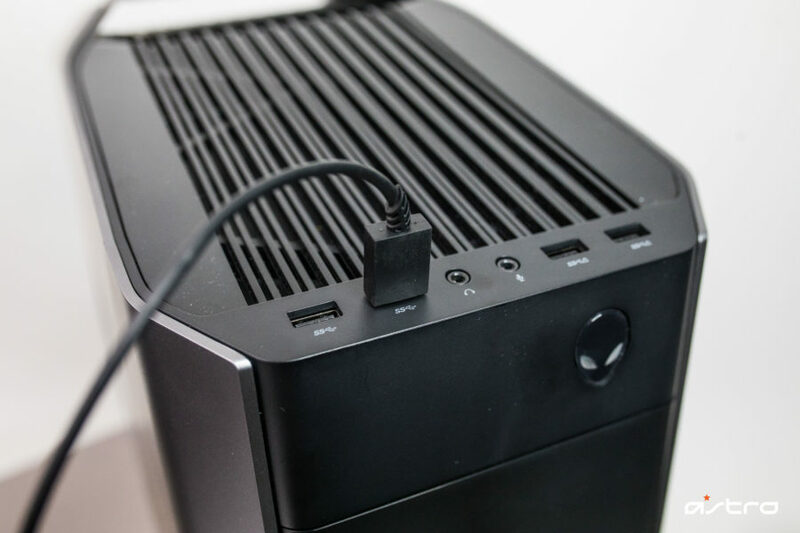 For help setting up 3D audio with your PC, please visit our blog here. Step 2: Plug USB Micro cable lead into the transmitter & the USB-A end into the Mac. 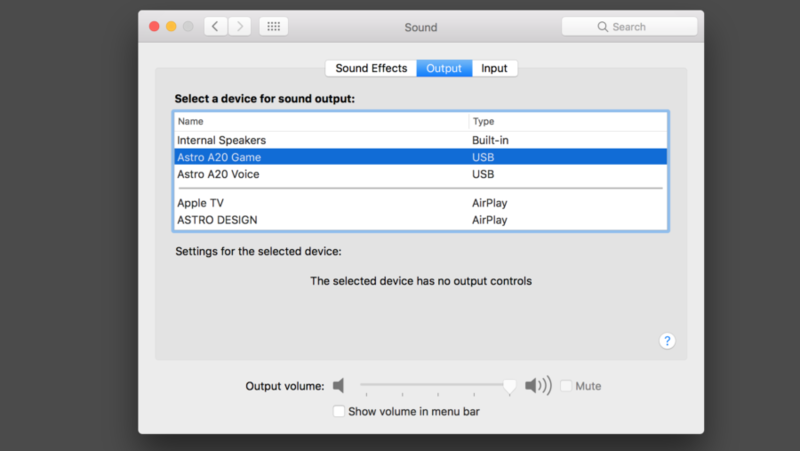 Step 3: Navigate to System Preferences, select Sound, then Output and choose ASTRO A20 Game. 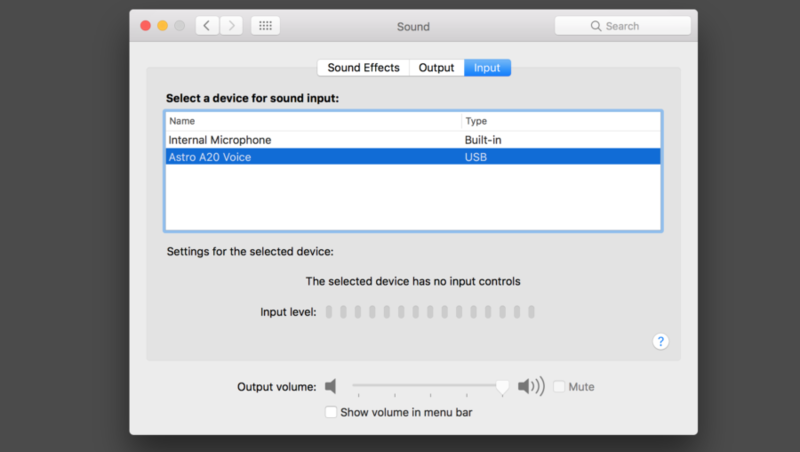 Step 4: Select Input and choose ASTRO A20 Voice. That’s it! 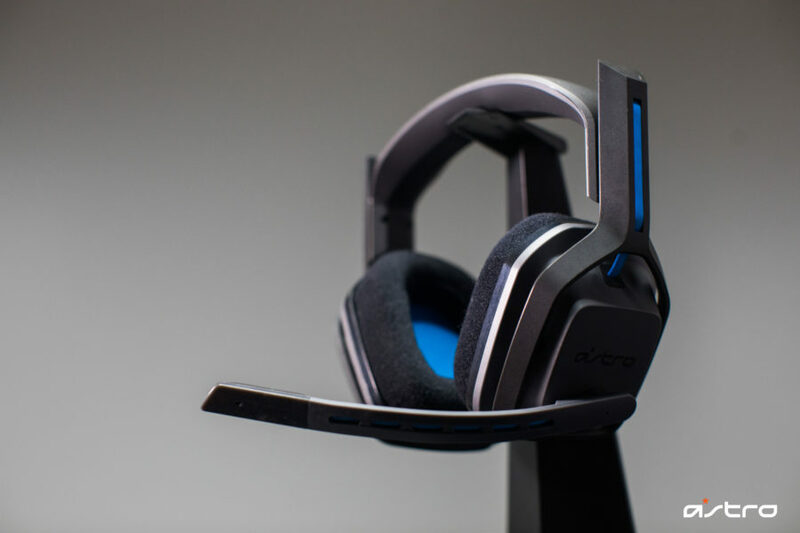 Your A20 Wireless Headset is ready to game! For any additional help, please reach out to our in-house CRT team. They’re around to help.